The rapper's Hollywood Hills home is for sale. A view of Kanye West's minimalistic Hollywood Hills bachelor pad on the market for $3.3 million. Kim Kardashian and Kanye West seem to be flipping houses left and right, and the latest real estate move they're making is to sell West's Hollywood Hills bachelor pad for an asking price of $3.3 million, reports Realtor.com. West purchased the home in 2003 for $1.75 million and tried to sell it for $4 million a couple of years ago. Coming in at 4,124 square feet, it's described as stunningly minimalistic, which might come as a surprise to anyone who knows anything about the flashy artist. The home's details, however, indeed demonstrate reserve. French walnut floors exude elegance inside, as do the Minotti chandeliers. Centrally located above Sunset, the hillside compound overlooks breathtaking views from every room, with unobstructed scenes from downtown to Santa Monica. As you can imagine, the home offers gated entry and state of the art security. There are three bedrooms and four bathrooms, and although there is no swimming pool (yet), the listing promises that there is room to build one. Seriously? 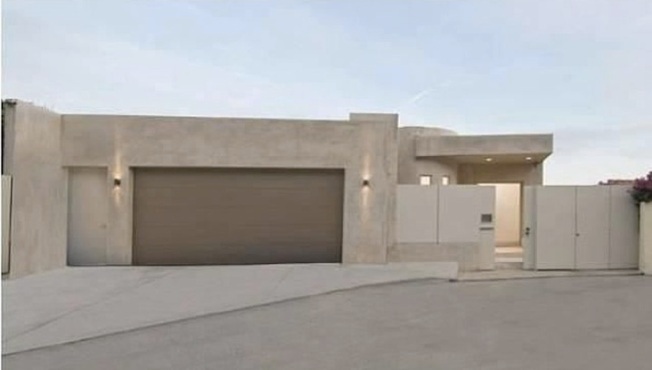 Kanye's bachelor pad is subtly elegant and lacks a pool? Maybe there's more to Kanye West than we think.